Ahhh skincare – all you have to do is rub ye olde washcloth over your face and then slap on some sorbolene cream from the supermarket right? Riiiight??? I hate to break it to you, but that just won't cut it. While looking after your skin needn't be a complicated task, adopting a one-size-fits-all approach to skincare, among a host of other common skincare mistakes, can put you on the path to epidermal disaster. Erin Laird from Take Off Skin & Body in North Melbourne, leads a team of expert therapists dedicated to complexion perfection. They know a thing or two about looking after the precious epidermis and are pros at fixing those little skincare mistakes that a lot of us are guilty of making (ahem…moi included!). We sat down with Erin to discuss the most common skincare mistakes, and how she would go about fixing them. After all, looking after your skin is one of the best investments you'll ever make! Skincare Mistake #1 – "I don't really know what skin type I am…I mean, they're all the same right?" Wrong, wrongity, wrong! First and foremost, you need to assess your skin type so that you can use the appropriate products. That zingy cleanser that your oily-skinned friend uses? Sure it works well for her…but it won't be so effective if you're a dry-skinned dame. "At Take Off Skin & Body, we recommend clients begin with a thorough skin analysis in order for both the therapist and the individual to understand what's best for the skin. 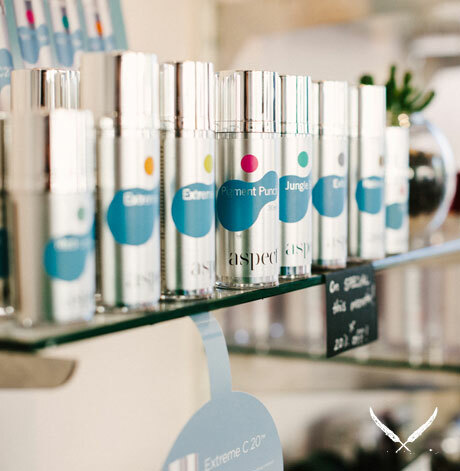 Our therapists will also provide a product prescription that's tailored to each client – it's so important to ensure you're using the best skincare for YOUR skin and not someone else's!" Skincare Mistake #2 – "My skin produces more oil than an oil rig, so I totally don't need to moisturise!" Alas no, dear oily-skinned friends. Oil on the skin simply provides lubrication, and not actual moisture! If you have oily skin you should most definitely be moisturising in order to condition the skin and avoid stripping. If that's not enough to convince you, if you go without moisturiser your skin will most likely compensate by producing even more oil…noooooo!! "Using a water-based product will provide oily skin with adequate moisture, minus the heavy feeling. We stock O Cosmedics and their Rebalancing Crème is perfect for those with an oily skin type. If you're looking for the best facial treatment, try the Jungle Brew Peel (just make sure you take the necessary pre-treatment steps at home) – it's a salicylic based peel that helps to treat excessive oiliness." Skincare Mistake #3 – "What do you mean? Dry skin and dehydrated skin are so the same thing." I am so guilty of making this mistake – I mean, c'mon, you have to admit it's a little confusing. That said, there is a difference! Dry skin doesn't produce oil, whilst dehydrated skin lacks water content. This means any skin type, even those with oily skin, can be dehydrated. It aaaalll makes sense now! "Cosmeceutical grade skincare containing hyaluronic acid and/or water based products are great if you have dehydrated skin, whilst oil based products are best for dry skin. In terms of skin treatments, the Lacto Botanical Peel uses lactic acid to combat dehydrated skin – a hydrating mask is also great, too. If you have dry skin, though, the best facial treatment would be microdermabrasion or a Vitamin E based mask." Skincare Mistake #4 – "I have sensitive skin, so let me just dive into all those 'natural' products." Oh sure, go right ahead and whack on anything with the word 'natural' on it. Cue skin irritation. You see, natural products can quite often contain essential oils, which while they smell nice and all that, can cause irritation in sensitive skins. "Try and find out the reason for your skin sensitivity – is it hereditary or environmental? When it comes to skincare, cosmeceutical products (such as the Aspect range) are formulated in a way that the chance of reacting is minimal. I'd recommend Aspect Redless to reduce redness and irritation, Aspect Extreme C to help strengthen skin and the capillary network, or Aspect Post Treatment Balm, which is an amazing protective barrier moisturiser. The great news is that Take Off Skin & Body stocks the full Aspect skincare range." Skincare Mistake #5 – "Sure I wear sunscreen every day. Oh wait…that's a lie." If that's you then tsk, tsk, tsk!!! Quite simply, sunscreen is the best anti-ageing product on the market, hands down. UV exposure and harsh UV rays are the leading cause of premature ageing, so wearing a broad-spectrum SPF helps to shield your skin from all that. Let's look at it another way – by NOT wearing sunscreen, you can resemble that leather bag you've been eyeing off sooner. Fun! "If you're worried about wearing sunscreen daily leading to clogged skin, fear not! The O Cosmedics Mineral Pro is a zinc based physical sunscreen – it doesn't block pores, causes no irritation and has great healing benefits. It also comes in a tinted version, so now you have no excuse not to wear an SPF!" Skincare Mistake #6 – "A monthly facial is all I need for skin as smooth as a baby's bum." 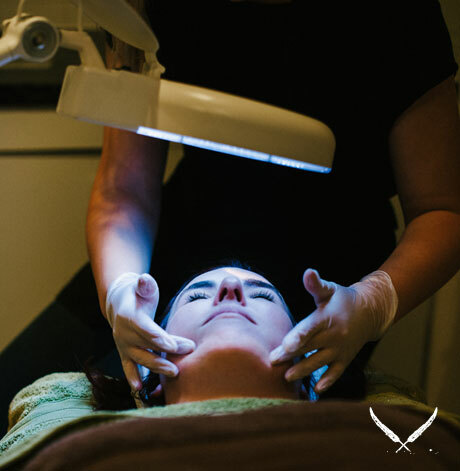 Monthly facials are great, there's no doubt about that; however if you're not following that up with the correct skincare routine at home, then you can't expect the results to last! "Again, I'd recommend a full skin consultation and product prescription by a qualified beauty therapist. If you want great skin all the time then you need to combine regular salon treatments with a great skincare regime at home – otherwise it would be like going to the gym once a month and expecting to see results year round." Skincare Mistake #7 – "Please…if I scrub more than once a week I'm going to scrub my skin off!" Lies, all lies! Regular exfoliation, think 2-3 times per week, is one of the easiest ways to improve the look of your skin. Exfoliating gets rid of dead and dry skin cells from the skin's surface, meaning the skin is able to turn over newer (and younger! There's that magic word…) cells quicker. An extra plus – exfoliated skin will also better absorb the skincare you've spent your hard-earned clams on. "Take Off Skin & Body stocks plenty of great exfoliants for a variety of skin types and concerns. We have both physical exfoliants (i.e. your typical 'gritty' scrub) such as O Cosmedics Exfoliating Cleanser, as well as enzymatic scrubs (i.e. liquid exfoliants) such as Aspect Exfol L. Alternatively, microdermabrasion or medical grade peels would be a fabulous monthly addition to your skincare routine for that extra boost and glow." Are you guilty of making any of these skincare mistakes? Erin and her team are ready and waiting to work their magic on your skin! Click here to find out more about Take Off Skin & Body, or to make an appointment, click here. TUL Note: Today's List Love post is proudly sponsored by Take Off Skin & Body and endorsed by The Urban List. Our sponsored posts will never be a secret - the List Love seal will be stamped on any sponsored material you see on the site. Thank you for supporting the sponsors who make The Urban List possible.